Example about using cakePHP to manage customer in application web "Manage motel". Complete all features of module "Manage motel"
CakePHP is a framework for php that is to provide a framework for developer use php to progress web applications fast, powerful without losing flexibility. And the more important is cakePHP is free. You can read about it from http://cakephp.org. To use it, developer must have basic knowlegde about PHP and HTML, ... You can see detail about content and some example on http://manual.cakephp.org. - A HTTP server (Ex : Apache, IIS) - cakePHP only support PHP version 4 or more. 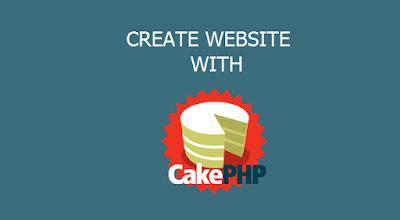 - Database: cake php support database systems: MySql, PostgreSQl. With username, password is username, password to login MySql's database. - Cake table name should be in the form of multiple (eg: users, customers, students ... ). - Table must have key with name is 'id'. - If you use relationship , foreign key have name table name (remove s) + _ + id (eg : user_id , user without s + "_" sign + id). After setup and configure cakePHP, check cakePHP did setup or not , you can test by opening web browser and type : http://localhost/MyCake/. Attention to 2 lines : Your database configuration file is present. Cake is able to connect to the database. Determine if you have connected to your database Cake or not. 4. Using cakePHP to manage customer in web application "Manage motel". As i have introduced, cakePHP is a framework, so it's operating model is similar 3 classes model (MVC) in object-oriented programming. With first class is view, next is controller class and last is model class. Model class will communicate with our database. The $customers is that we have established with the method set() in the CustomersController example. It carries an array value as I said. $html is an object of class helpers will be discussed in the next section. Method link() is used to output an link similar href in HTML with the first parameter is the title to the links, the 2nd parameter is the url. 4.7. Complete all features of module "Manage motel"